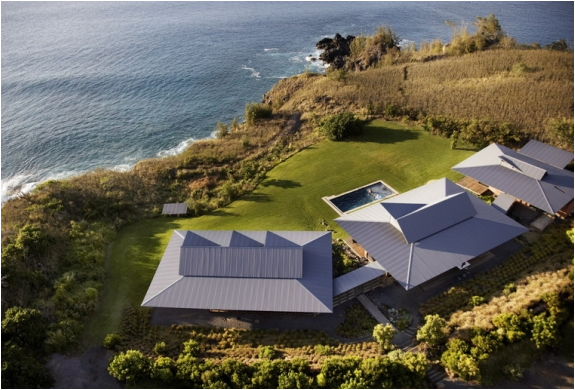 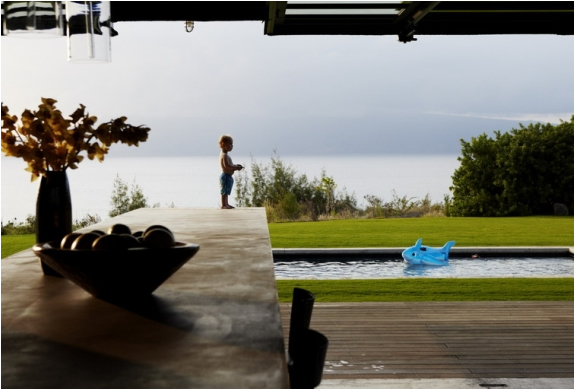 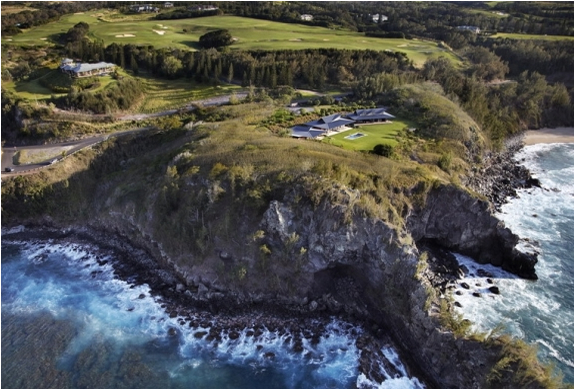 Knowned has the Slaughterhouse Beach House, its located close to a well-known surfing spot in Maui and was designed by Olson Kundig Architects. 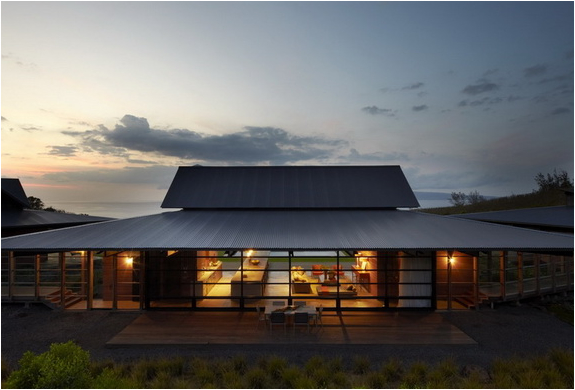 Three "huts” were combined in order to complete this residence, each with their well defined purpose: living space, guest rooms and a general sleeping area. 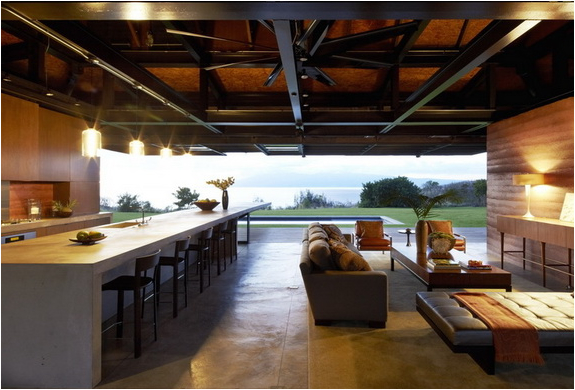 The landscape looks amazing and at a first glance the pictures could give the impression that perhaps the construction is not real.